of a number of food and business industry restaurant awards. Northern Beaches Local Business Awards The team at Manly Garfish were named Best Restaurant in the Northern Beaches Local Business Awards. 2015 Savour Australia™ Restaurant & Catering HOSTPLUS Awards for Excellence Finalist Manly Garfish named a finalist in the Restaurant & Catering Awards with winners to be announced in September. Trip Advisor Hall of Fame Manly Garfish was awarded with a Certificate of Excellence and named in the Trip Advisor Hall of Fame, which recognizes the best in the business. Garfish Kirribilli Best Restaurant North Shore Business Awards This awards recognises the consistent efforts of our Garfish Kirribilli team by our customers who voted and nominated us. Garfish Manly Consumer Vode Award 2014 Savour Australia Restaurant & Catering Awards Voted by our customers, the Savour Australia Restaurant & Catering Awards Consumer Vote Award recognised the hard work of our Manly Garfish team. Best Informal Seafood Restaurant: Restaurant and Catering Industry Awards for Excelence 2013 saw a very special occurrence, in that all three of our restaurants were finalist in these awards. Garfish Manly however was awarded the winner, we’ve very proud of all of our team for achieving this again this year. Garfish founders win Restauranteur of the Year 2012 The 2012 New South Wales Restaurateur of the Year was received by Mark Scanlan & Mark Dickey, founders of Garfish Restaurants, for their outstanding achievements and success through best business practice and leadership within the industry. Read more about this award in our blog here. Australia’s Best Seafood Restaurant After winning the Best Seafood Restaurant NSW award (see below) Garfish Manly has won the National Award for Best Seafood Restaurant in the Restaurant and Catering Industry Awards for Excellence. More pictures and information on this can be found on this blog post. Best Seafood Restaurant (Informal) – NSW Garfish Manly, for the forth year running, has won the NSW award for Best Seafood Restaurant (Informal), in the Restaurant and Catering Industry Awards for Excellence. Sydney Fish Market Seafood Excellence Awards – Highly Commended Garfish Manly won a Highly Commended in the Sydney Fish Market Seafood Excellence Awards. Garfish Restaurants are proud to have been recognised by the Restaurant and Catering Association of Australia as the first ‘accredited’ restaurant in Australia. Restaurant accreditation is an industry initiative, aiming to increase professionalism. 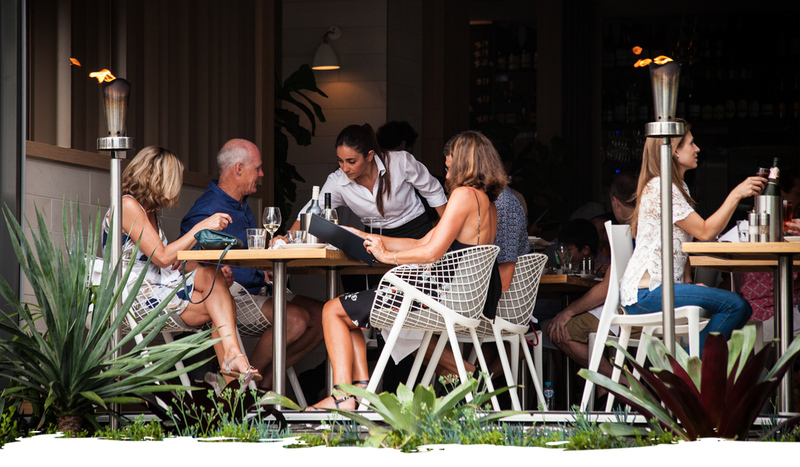 It recognises restaurants that are managed in compliance with Australian standards, by qualified restaurateurs. Garfish are proud sponsors of the Manly Warringah Netball Association and the Manly Marlins Rugby Club. In addition we support numerous local schools, charities and other clubs.